Will insurance pay for your services? Attentive Nursing Care is a “fee for service” business. This means that your insurance will not cover the costs associated with our services. What does your initial assessment entail? Our first meeting with any client is an overall health assessment to learn more about your medical needs, as well as about the many factors that affect your health and wellbeing. Do you follow the same regulations as doctor’s offices? Attentive Nursing Care must follow the same HIPPA regulations as any other medical provider. We cannot release information to medical providers, families or friends without your written permission. What licenses does Attentive Nursing Care have/hold? All registered nurses are licensed in the state of Florida and carry their own malpractice and liability insurance. Can Attentive Nursing Care staff go into assisted living facilities (ALFs), skilled nursing facilities, or hospice? What happens when my loved one needs more services than you are able to provide in the home? A referral will be made to another service to meet the needs of the patient and comply with the doctors’ orders. How can I get in touch with a staff member after hours? Do you travel with patients to medical appointments? Transportation is provided to and from doctors’ appointments. What happens when we no longer require your services? 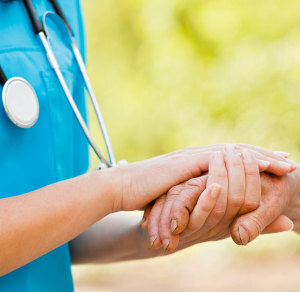 You contact Attentive Nursing Care and we end the service. We are happy to help provide referrals as needed. Why did you start Attentive Nursing Care? I’ve always relished helping people and enjoyed nursing throughout the years. Now that my children have grown, I have the time and energy to devote to my profession make a difference in the community. What’s the difference between Attentive Nursing Care and the other companies in the area?